Not long ago, I heard a group of Coastie wives chatting at the school bus stop about all the free stuff they were getting to demo. I was very intrigued and asked them how to get started doing Amazon reviews. 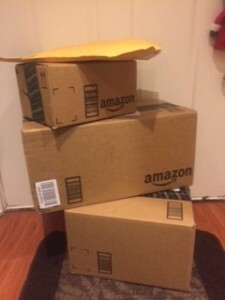 Apparently, there was a whole system of websites and Facebook groups dedicated to connecting sellers with people who demo their item in exchange for posting reviews on Amazon that I didn’t know even existed. I joined some of these groups, such as Blue Ribbons Review on Facebook, and their very user friendly website to see what this world of reviewing was all about. Amber, the gal who runs Blue Ribbon, is very helpful and understanding as an admin, so Blue Ribbon is my top recommendation to anyone who wants to start reviewing. 1. Get acquainted with your Amazon Prime account. Yes, a Prime account is pretty much required to get free 2 day shipping. 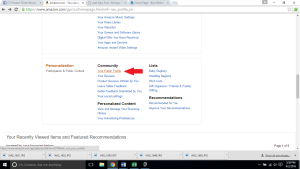 Under your Account on Amazon, scroll to the bottom to where is says Community and click on Your Public Profile (you will often need to put the link to your public profile into the opt in form when selected to review products). From Your Public Profile, you can add personalized profile information, like what your interest are and what you want to review so that sellers can get an idea of who you are and what items you would be good at demoing. On your public profile page you will also see your current Amazon ranking and number of helpful votes. When I started reviewing I was ranked at over 3 million and since November 2015 have brought that number down to be a top 30,000 reviewer. Writing good quality reviews with pictures and video will increase the likelyhood of getting helpful votes that help your ranking to go up. Don’t worry if it takes a while for your rank to get better, the more reviews you do, the faster you will see the number drop. 2. Join review groups and websites. Make sure you read the pinned post on the FB page, fill out the new member form, and friend the admin team. Once you complete these few simple steps, you can opt into offered products. Once you get the hang of things and have a few reviews under your belt, a search on Facebook will bring up many other review groups, like Lady Luck Reviews, Product Testers Review Club VIP ( both favorites of mine), and many many more. The admins will generally send you a message through Facebook with ordering info and the promo code to get the products for free or at a reduced cost. Soon you will start receiving lots of products and get to know the delivery truck drivers on a first name basis. 4. Use a spreadsheet to track your review orders. Here is my sample spreadsheet that you can download that will allow you to track the item, due date, group promo received from, date review written, and the date review completed by submitting the review form to the correct group. I also track product price because although each product is fairly cheap, reviewing is exciting addicting and all those small purchases can add up. This spreadsheet works great for me because when I have ordered 10 review products in just a few days, it brings my attention to any reviews that need to be completed by highlighting them yellow. The number of items, average price per item, and total cost will update automatically as you input the information. 6. Add in pictures or video to your reviews. Sellers, and thus review groups admins, generally pick reviewers who will add in photos or video of their products over just well-written reviews. Pictures and videos will also help protect your Amazon account from being wiped from reviewing products that were ordered with promo codes. I find it easiest to take photos and video with my iPhone and email them to myself so I can download them on a laptop to make it easier to submit on the Amazon website. 7. Finally, fill out any required review submission forms for the group you received the promo code from. Start enjoying all the free and reduced cost items that you get through theses awesome review sites. 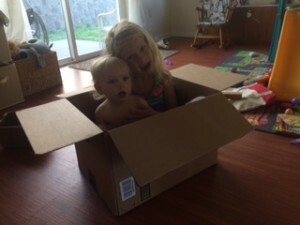 Don’t forget to recycle all those boxes, either as toy airplanes or at the local recycling center! That’s it! I have received over 200 promotional products at a margin of the cost in exchange for some of my time. It gets easier the more you do it, and you tend to get picked for better items once you establish yourself as a reliable reviewer. Soon, you will even have sellers contacting you directly via email to review their products! In my next post on reviewing I will show you what a well written review looks like when I post my photo and written review on a striped dress I got for free for Fancy (my eldest daughter’s pen name) and a video review sample on a Flexible USB Accent Light Strip that I got at a discount.